Richard Carpenter, who died this week, wrote and adapted some seminal TV programmes for more than 35 years, many of which have now been re-released to a new generation on DVD. In this article originally published in issue 15 in 2005, and slightly amended, John Connors looks at his career from Catweazle to I Was a Rat. 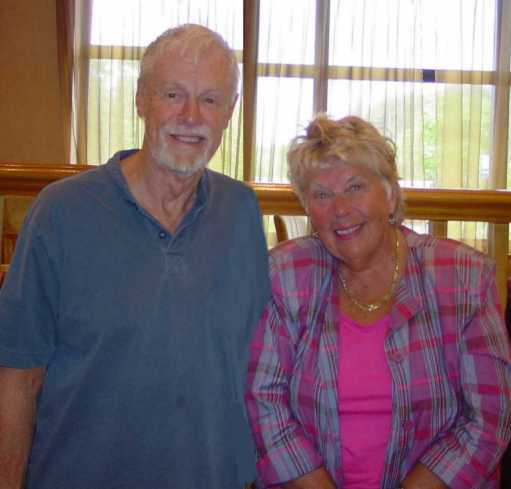 Richard Carpenter was born in 1933 in Kings Lynn in Norfolk and as he grew up became a great fan of seemingly opposite ends of the creative world; he loved comics but also Shakespeare while `The Beano` shared his reading time with tales from Greek mythology. It is easy to see how such disparate influences would later shape his writing and help him combine simple plotting with strong characters and a sense of history that grounded them. He went to the Old Vic Theatre School and learned the acting trade in repertory theatre going on to spend years as a jobbing actor appearing in many well known television series of the 1950s and 60s including Hancock’s Half Hour, The Strange Report, Knight Errant, The Baron, Dixon of Dock Green and Z Cars. During this time he started to write short stories for radio and having experienced life in front of the camera, his writing was actor driven something that shows strongly in all his key series. Just wait til I get through with it. One of the funniest comedies ever made, Duck Soup (1933) is also one of the most subversive. It has been described as a political satire, even a war satire to rival Catch-22. Its darker edge – which angered audiences during the inter-war period (‘remember while you’re out there risking life and limb through shot and shell, we’ll be in here thinking what a sucker you are’) – has made it appeal to the post-Vietnam generation. 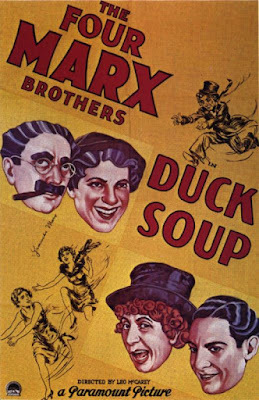 Strange to report, therefore, that the only people who thought Duck Soup wasn’t a satire were… practically everyone who worked on it! Once again, science fact is proving to be stranger than science fiction. You may have read press reports on a real-live rocket called Thunderbird, which a British team working just outside Manchester are hoping to put into space sometime later this year. (The press have been a little too enthusiastic in their patriotism here - it¹s a British team making the engines for an American team based in Virginia. It¹s a similar deal to British films.). Thunderbird¹s final pre-launch test firing is due to take place somewhere in the great Australian desert near Woomera in March, and space pilot Steve Bennett¹s Starch Asher Industries team that are putting the project together is the favourite to take the X-Prize. The Challenge: 52 Weeks in The Year- 52 Episodes of Blake’s 7. Can we watch them all? In the middle of a space battle, Blake and Travis are transported to a planet by its mysterious two guardians who force them to duel without their usual arsenal and with one helper each while their crews watch from above. The most infamous telefantasy duel involved Captain Kirk taking on a lizardy alien in combat whilst their respective crews watched from above. Terry Nation must have been watching too as he’s taken the same idea, sadly minus the lizardy alien. 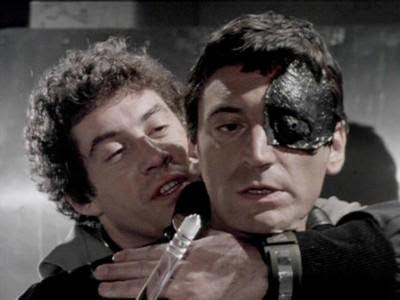 Instead we have a growling Travis and a surprisingly nonchalant Blake- whose reaction to the whole thing suggests he’s been at the Liberator’s medicine cabinet- trying to best each other with only one companion each. "Can you see anything?" "You're kidding, right? We're standing in front of a blue screen." One of the most remarkable things about Harry Potter is how rarely his glasses fall off. Whether dangling perilously out of a flying car or being knocked giddy by a great big snake, his spectacles remain firmly strapped to his face in defiance of gravity. Yet he doesn’t really have to worry too much whether they do or not; a quick “occulus repairus” and they’d be right as rain again. Yesterday a tiny screw fell out of my glasses causing one lens to promptly plop onto the magazine I was reading and no amount of colourful words on my behalf could cause them to repair. I had to resort to a screwdriver and much fiddling about. 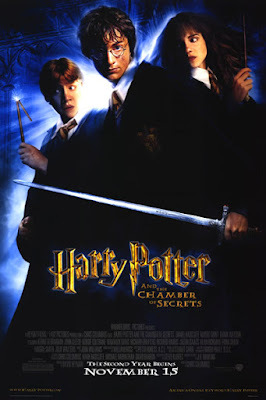 So that’s why we like Harry and his ilk; they can defeat evil and save the day but they can also deal with smaller problems without getting into a panic. The BBC’s announcement late last month that it was dropping the word ‘play’ from the title of its main radio drama slots Afternoon Play and Saturday Play (plus the now sadly rare Friday Play), in favour of using ‘drama’ in it its place, completes a process begun thirty years ago. The use of ‘play’ in relation to broadcast drama dates back to the earliest days of radio and was once equally commonplace on television, where drama strands from the 1950s onwards wore their theatrical credentials on their sleeves with titles like Sunday-Night Theatre, First Night, Playhouse and Play of the Month, to name but a few. These titles did not mean they relied on stage adaptations or production styles; some certainly did, particularly in the earlier years of television, but others, like The Wednesday Play, were specifically designed to showcase new dramatic writing for television. Blake and co investigate a small spaceship which has been locked in a fixed orbit with its crew incapacitated. Reviving its inhabitants they discover it is on an important mission to the colony Destiny to return a device that will save their livelihood – but there is a killer on board and a single clue written in blood. Two things become apparent in this episode. The first is that Blake, Avon and Jenna are instantly believed and never questioned even though when the Destiny crew wake up, the trio are wandering around their damaged ship and examining their murdered crewmate. Now it would be trusting at the best of times to take them on face value but given the circumstances it does seem odd that nobody challenges them. However this pales into insignificance when you consider the central flaw of the story. When Isaac Newton was eleven, he made a kite and tied fireworks to it before taking it out at dusk and flying it, much to his neighbour’s shock; they thought it was a comet and in those days, comets foretold disaster. How cosmic is that though; a kite with fireworks going off as it flew. Some accounts claim is was a lantern, which isn’t quite as exciting. The BBC’s recent Great Britons` series has had its moments, though not those you’d expect. Apart from the puzzlement as to why John Lennon is in the top 10 at all (at least on his own and not with McCartney) the main things has been how passionately various celebrity experts have fought their corner, making even the most mundane characters seem amazing. Like Oliver Cromwell; a fascinating figure who laid the foundation for parliamentary democracy but has languished in the historical sin bin because of one massacre. But, for a fanzine like this, Cromwell’s a bit dry. 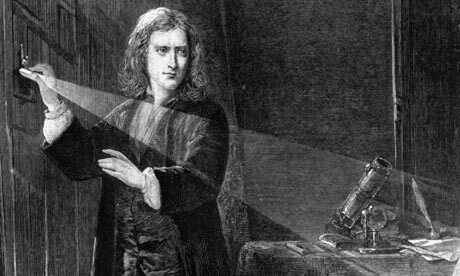 Isaac Newton, on the other hand is like a pop star from before pop music existed; he’s a trailblazer who went crazy and spent a lost decade fiddling with alchemy yet ended up knighted and feted. It’s not every (or indeed any other) series that can finish a story with the main detective clearing up the office by placing bits of paper in the bin. Indeed there are not many police series that would spook and tease us with supernatural imagery and then offer a reveal that will make you think twice before hiring a decorator again. And as for the fact that this police squad have a resident criminologist with old paper files advising them from the basement- well, that could only be Whitechapel. Somehow it straddles the line between bizarre freak show, police series and historical drama all at once. It doesn’t always quite work but isn’t it fantastic that it tries? A mission to steal vital equipment that will allow Blake to de-code Federation messages goes wrong leading to Cally’s capture and an encounter with notorious Space Commander Travis who is brought in by Supreme Commander Servalan to ensnare our heroes. 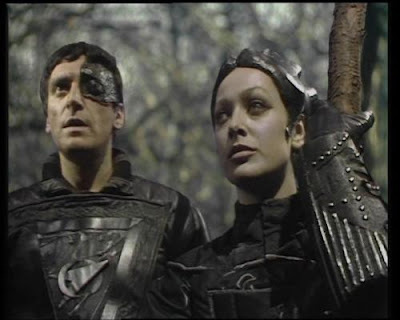 Every good hero needs a decent nemesis but in this case is it Servalan or Travis? Despite a melodramatic effort to introduce the latter as the key antagonist – he even gets a big “I’ll get you Blake, grrh” bit at the end- by simply listening to her minions and looking ice cool in an all white outfit more suited to the Federation Ball than a day at the office, Servalan steals all the thunder in this episode. It’s difficult to argue in a Doctor Who fanzine that Robert Holmes is an under-rated writer, given the number of eulogies aimed at the programme’s most backlash-proof contributor. 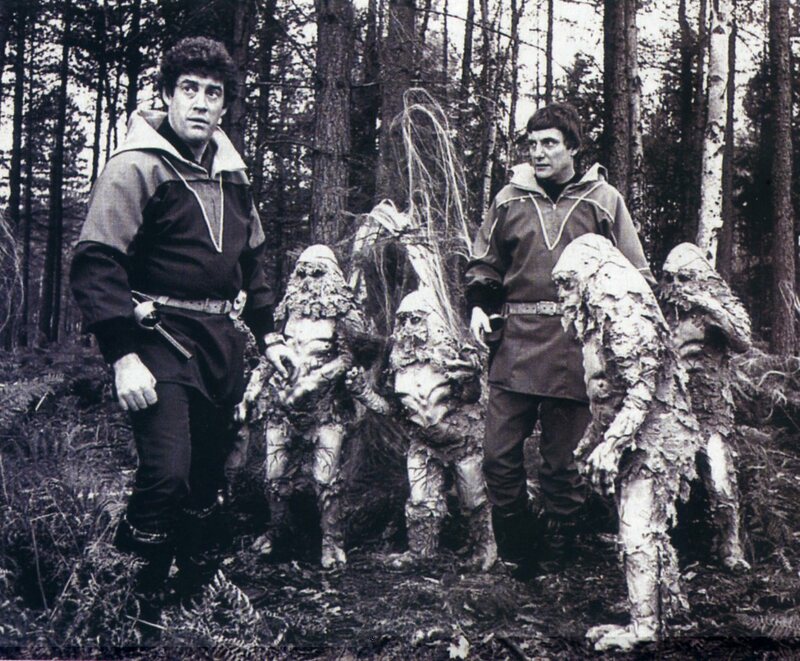 As writer and script editor, he established some of the series’ most enduring ideas (the Autons, the Master, the Sontarans etc), and rewrote previously cherished continuity with lasting consequences. And yet, whilst we treasure his sparkling dialogue, subversive political themes and audacious concepts, doesn’t he deserve wider recognition than the hack writer of episodic, formulaic drama series he painted himself to be? Aliens from the legends of Cally’s people force her to ensure the Liberator is diverted towards a large web in space inside which is a planet inhabited by genetically engineered creatures called Decimas and their enigmatic creators. And some tables. And a head in a jar. Hampered by some overly wordy dialogue and some mixed direction,` The Web` never quite fulfils its potential. 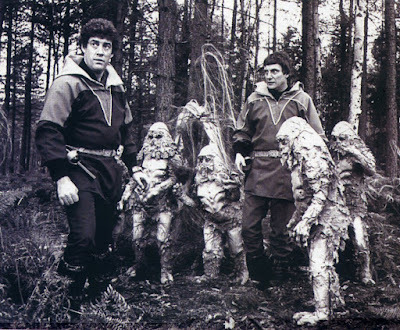 Terry Nation taps into his inspiration for the development of the Daleks with a plot exploring the ramifications of genetic engineering and the value of life. Interesting enough you’d think, but every time the episode seems about to take off a pile of techno babble pushes it back. In fact it becomes so un-involving that you lose interest in the outcome.